Here are three simple and low-cost ways to protect the home and prevent unnecessary bond claims. Plus, we give you some extra tips to make exit time a smooth process. It might sound like such a small thing but installing proper doorstops on all doors is a simple way to avoid the unintentional yet common damage of a small hole or dent in the wall behind the doorknob. If necessary, also include wardrobe cupboards. 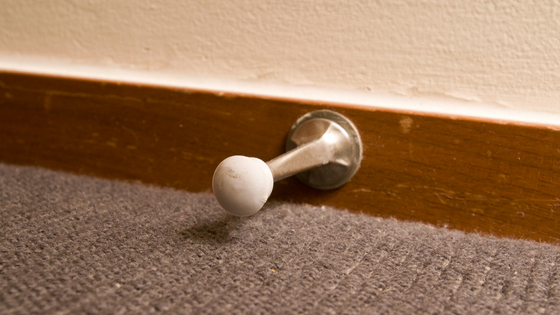 A homeowner or a handyman recommended by the property consultant can purchase and install doorstops. For a minimal outlay, the quality of the walls and paintwork behind doors are preserved for years to come. Most people like to hang pictures and photos in their home to make it feel like a home. Popular products on the market include adhesive hooks and tapes marketed to homemakers as a no-damage removable item. Unfortunately, this is not always true. Depending on how long they have been on the wall, the quality of the paint and the way they are removed, they can often cause the paint to bubble and even remove the paint. To avoid this issue, install permanent picture hooks in each of the rooms. Again, this is a relatively low-cost way of preserving the quality of the walls and paintwork and avoiding issues later. Oil or fluid stains in garages, carports and driveways is a really common problem. Unfortunately, they can be rather unsightly, and hard to remove. Stains might also be missed during inspections due to cars being parked over them. An effective preventative measure would be to use a drip tray under the vehicle. You can purchase these incredibly cheaply at an auto shop and homeowners may even like to provide them as a gesture to save the homemaker time and money. Preventing bond claims is a skill, and it’s not about turning a blind eye either. In fact, it’s the opposite. Thorough inspections by your consultant help prevent nasty surprises, with a “fine-tooth comb” standard set for every inspection. This is easier to get right when you have continuity of consultants. However, thorough inspections are only one part of the puzzle. Open and honest communication which is based on mutual respect makes the world of difference. Consultants who are ‘human’ in their approach get better results in most cases than those who rule with an “iron fist”. 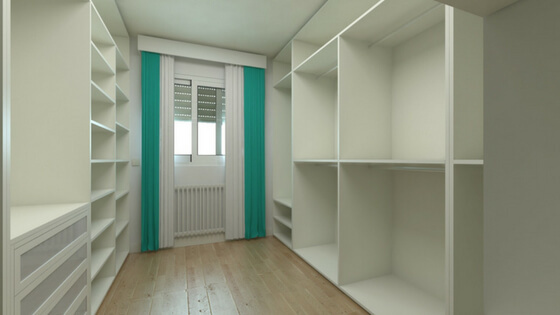 If the consultant can identify issues throughout the tenancy, then most items can be negotiated, repaired and dealt with prior to someone moving out. Mentioning little damage points in a no-biggie, “let’s get this fixed up now” approach is always better than saving a long list of repairs at exit time. It also gives homemakers the opportunity to put money aside for costly repairs. Of course, there may be hidden items like marks on walls caused by furniture or pictures hanging on walls but generally, these should be minimal. Most people want to avoid damage if they can. 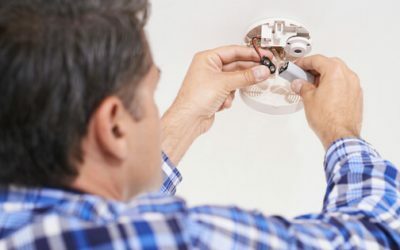 Inspections can also be about making recommendations to help prevent damage as well. 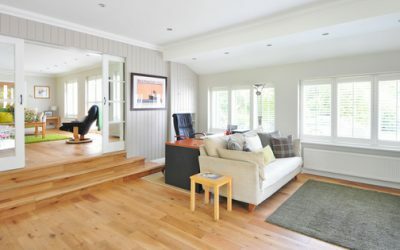 As an example, if a homemaker has an office chair with wheels, the consultant could suggest they place a chair mat underneath to avoid damage to carpets or polished floorboards. This can be applied to other items of furniture on polished floorboards such as chairs, tables and beds where purchasing self-adhesive felt pad protectors can prevent unintentional damage to the floorboards. Most times, if a good consultant can communicate well with both the homemaker and the homeowner, it will result in a mutually agreeable outcome. Sometimes issues might seem difficult or expensive to rectify, but often there is a solution. 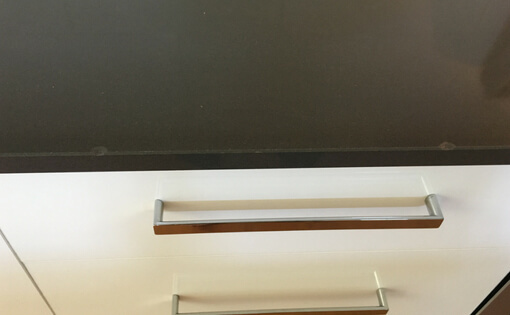 For example, this stone bench top (pictured below left) was chipped by homemakers unintentionally during the tenancy. 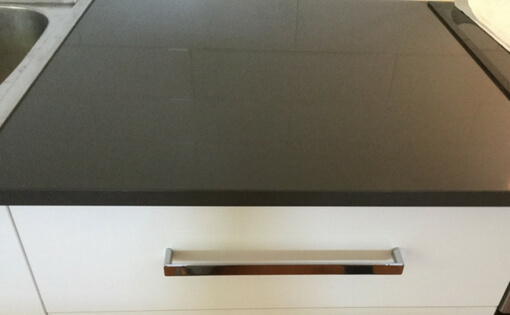 While some homeowners may think “we need to replace benchtops!” there was a more cost-effective solution. We were able to have them repaired at a reasonable cost, the work was very good, and all parties came away happy. To wrap up, we find when homemakers feel valued and cared for they in turn value and care for the home they are in. Whether they own it or not, this is their home. That’s why at Bluebell Connections we don’t use the word ‘tenant’ and always prefer homemaker. By remembering this point, we also keep in mind that inspections are a time to give positive feedback as well. Noticing the things homemakers do to take care of the home is so often overlooked and a beautiful way to strip down the ‘us and them’ mentality too common in this scenario. By working with heart, we hope we leave the door open for homemakers to put their heart into their home.